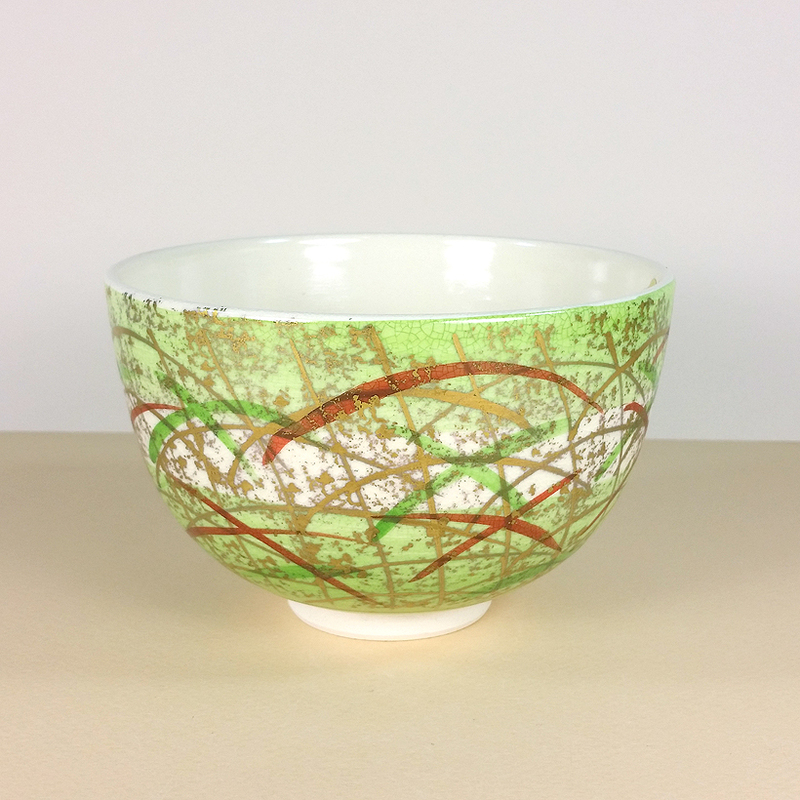 This chawan pulses with energy and spring emotion. 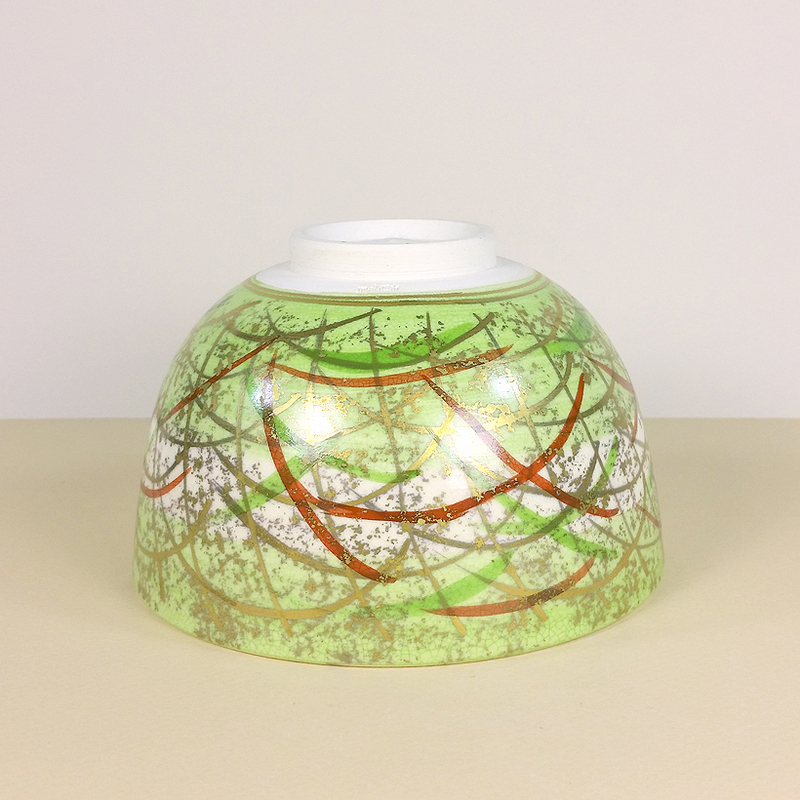 Vivid slashes of red, gold and tea green punctuate a background that features light green bands of wash that have been applied with a delicate hand above and below a middle band of ivory. 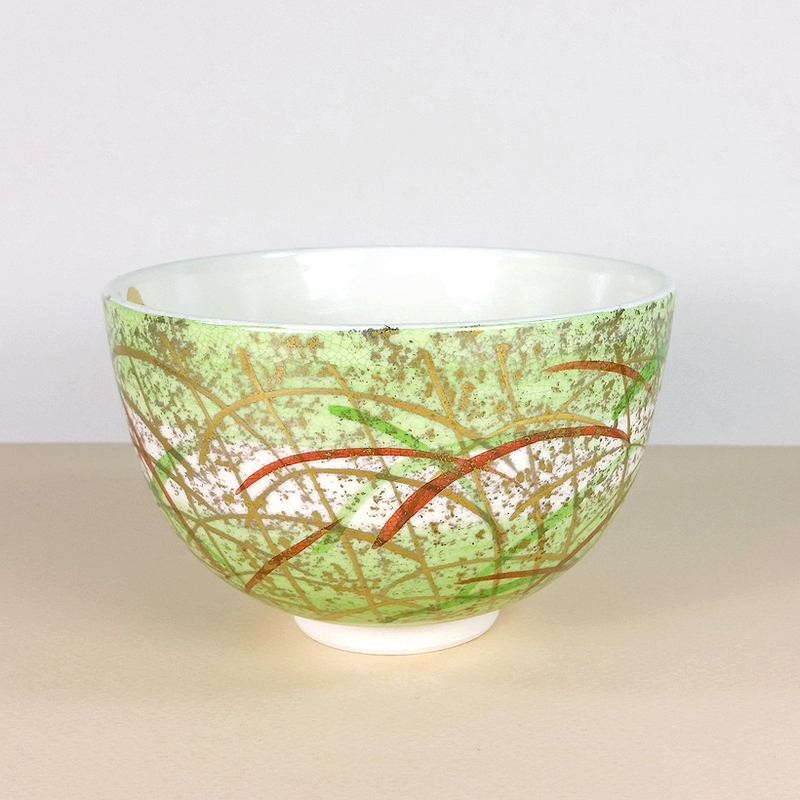 Splashes of gold fleck tie the design all together to give this tea bowl a very gay and spirited feeling. 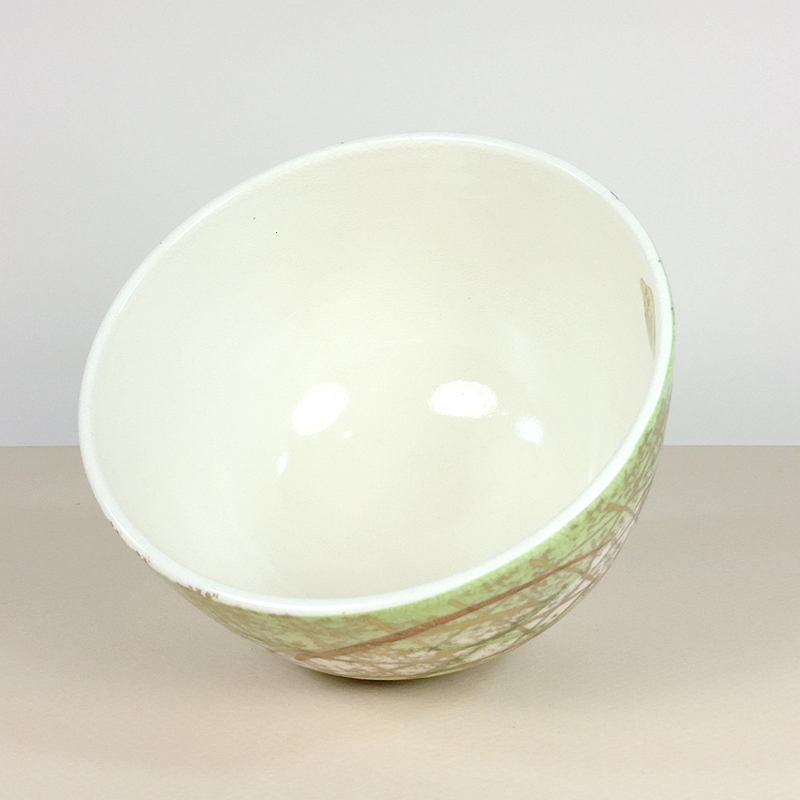 The ivory color in side of the bowl is the perfect foil for the vivid green of Matcha. 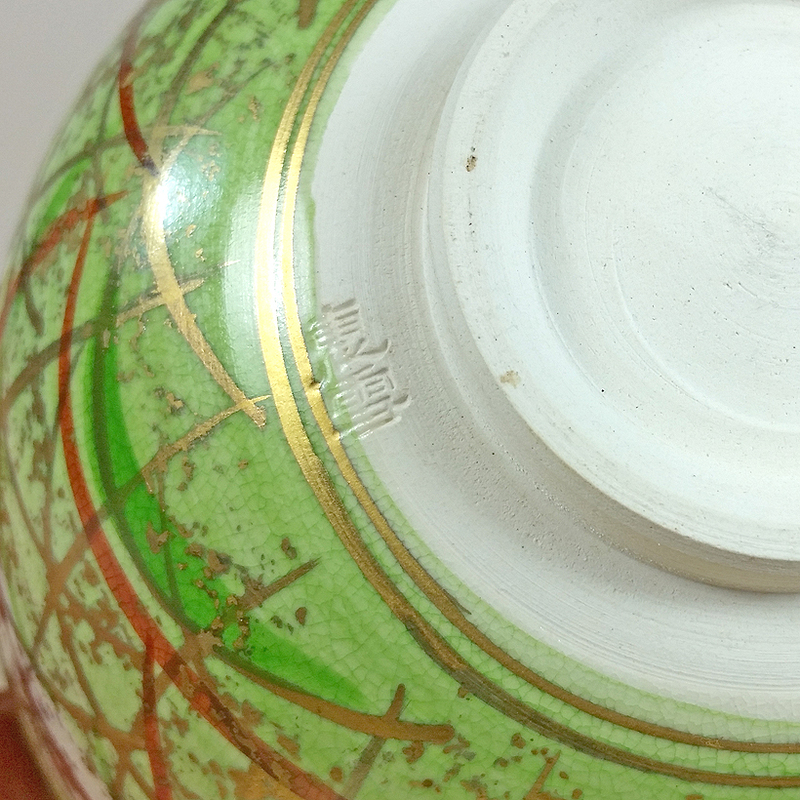 The mark of the potter is clearly impressed on the base of the bowl.